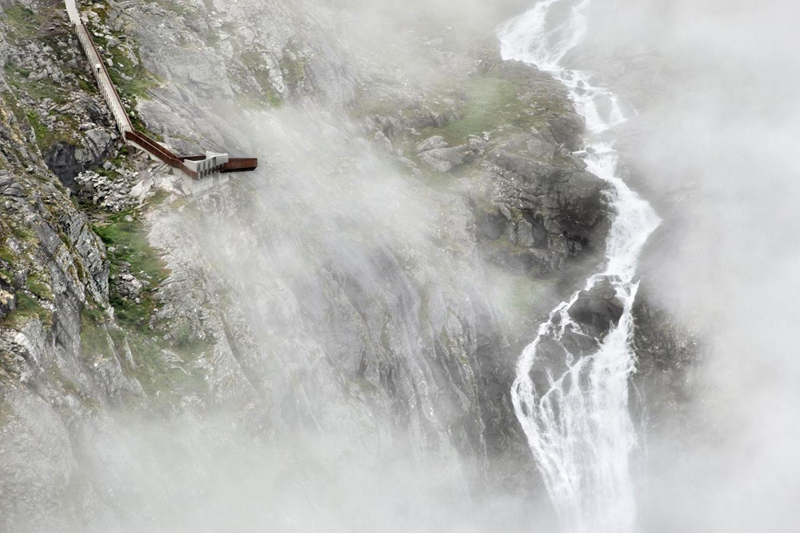 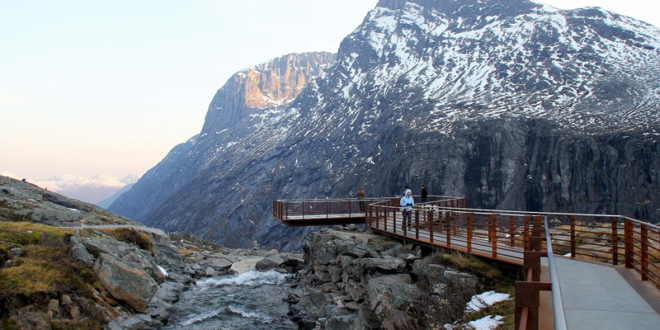 Trollstigen is located on Norway’s west coast perching within a dramatic pass between the deep fjords, symbols of the region. 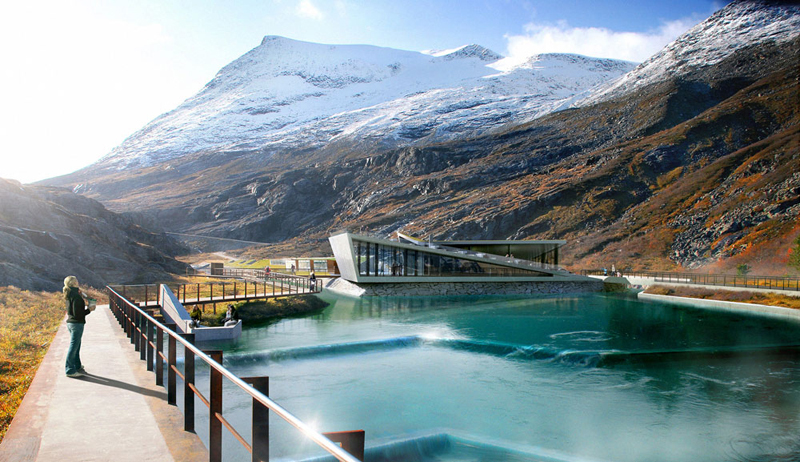 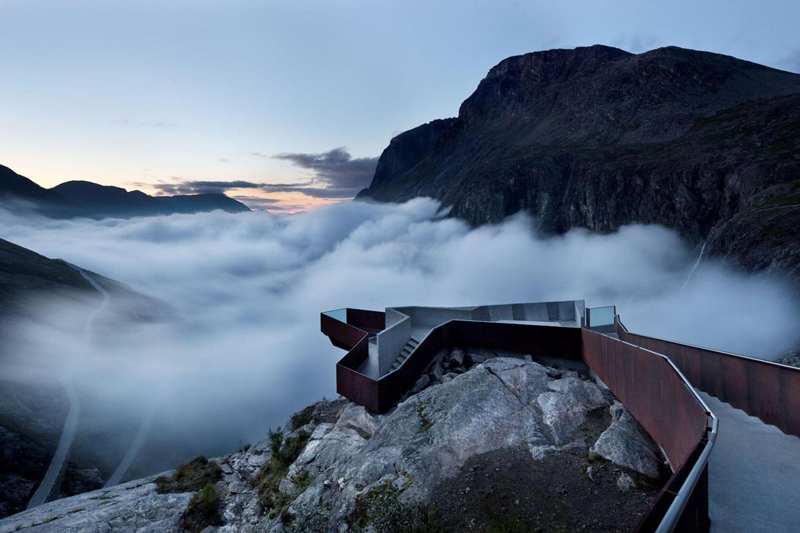 Because of dramatic nature of the site, this project entails designing an entire visitor environment, from a mountain lodge with restaurant and gallery to flood barriers, water cascades, bridges, and paths to outdoor furniture and pavilions and platforms meant for viewing the incredible panoramic view. 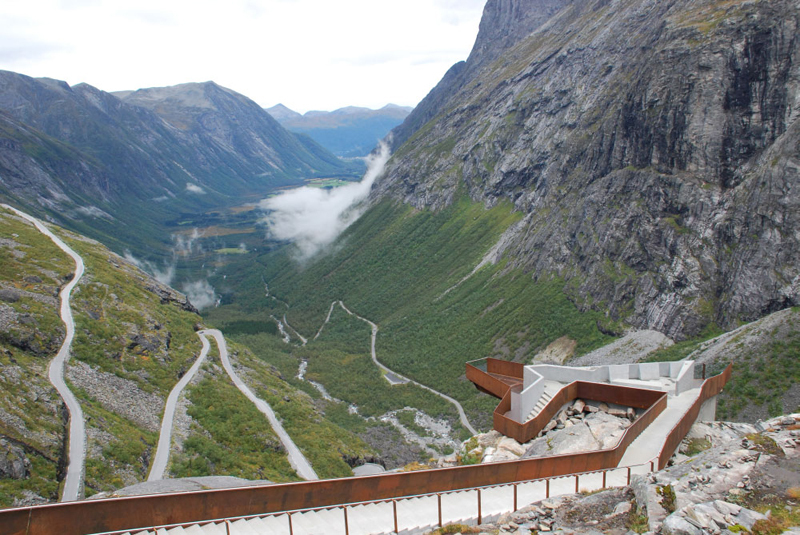 The architectural intervention is delicate, guiding visitors from one stunning view to another. 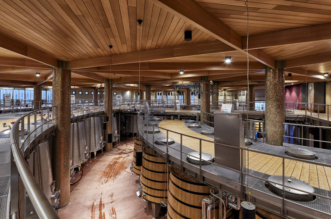 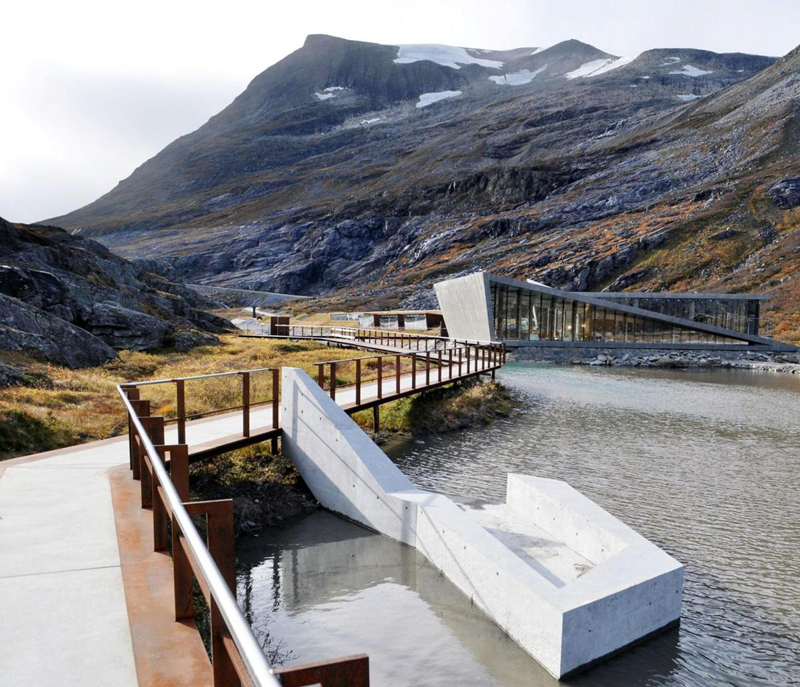 This amazing site can only be visited in summer, due to severe winter weather, so the major contrast between the seasons has been handled with the good choice of building materials. 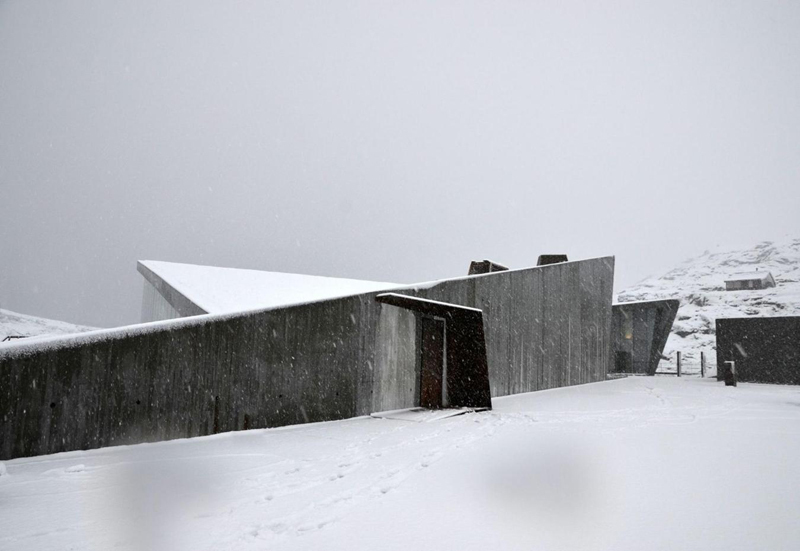 Static demands of the structure are determinate by extreme weather in winter with 7 meters high snow. 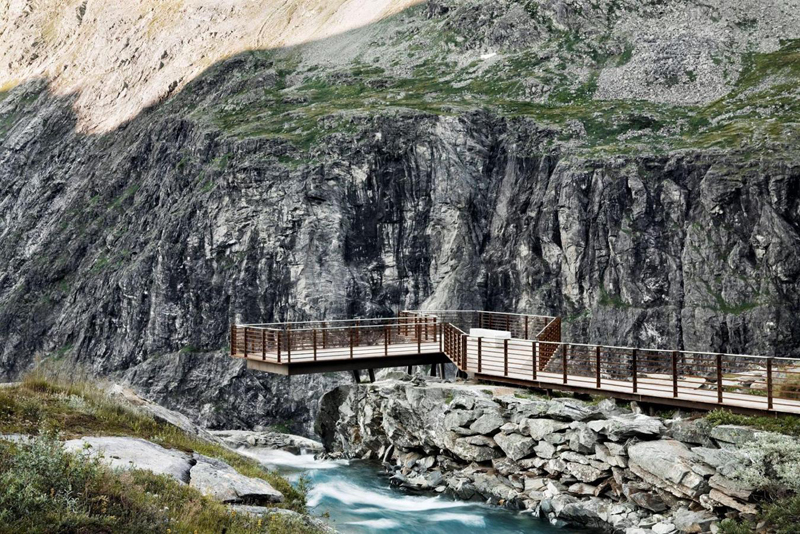 Details are fulfilled without compromising on the visual slenderness, by using resistant materials. 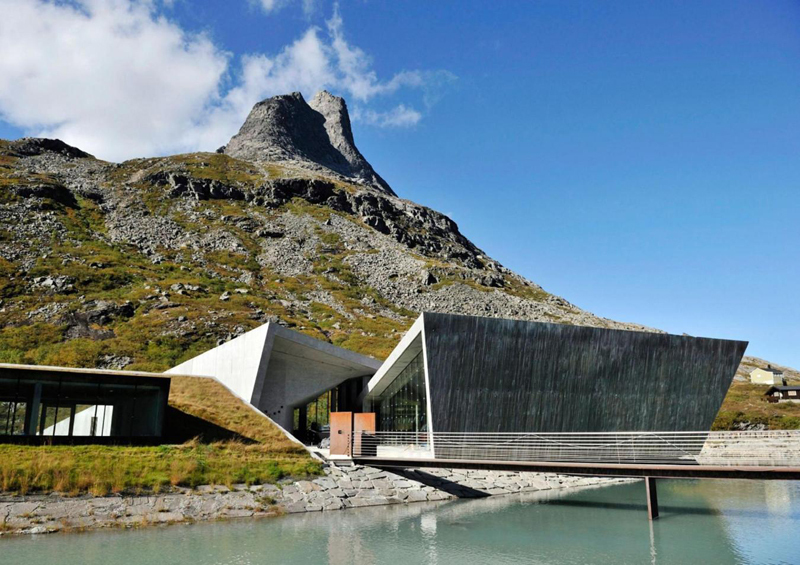 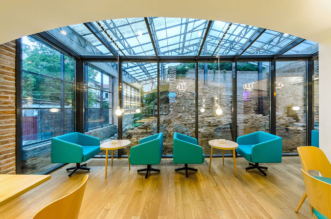 All the materials are carefully chosen so the architecture is characterized by clear and precise transition between the architecture and the natural landscape. 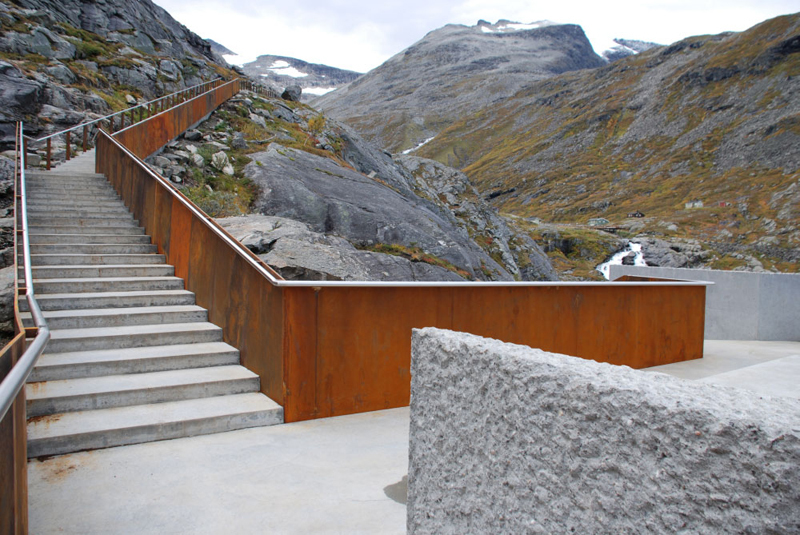 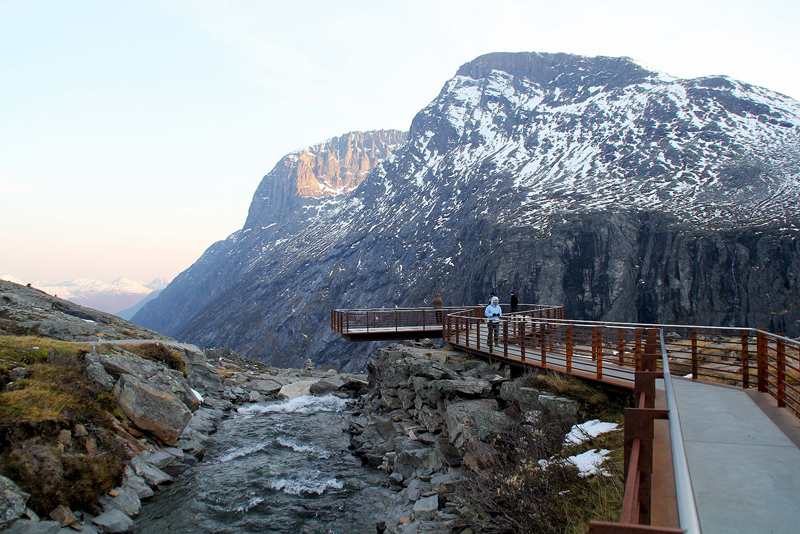 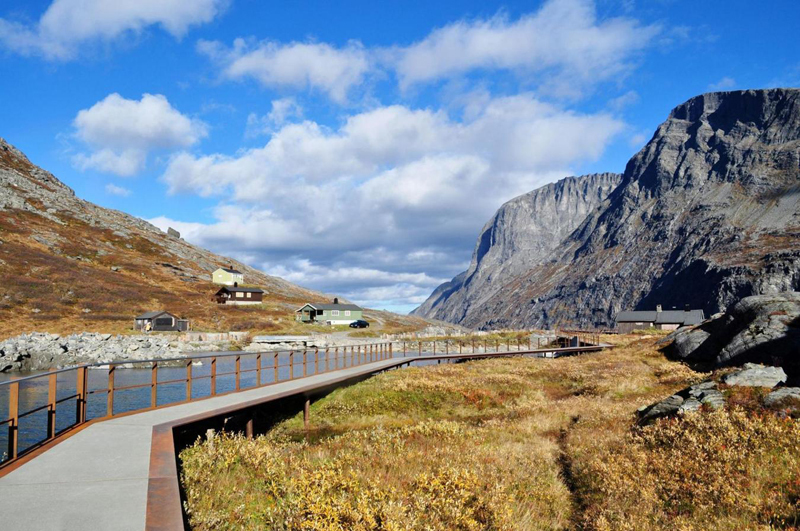 The Trollstigen plateau structure covers an area of approximately 600.000 m2 that from one end to the other taking about twenty minutes of continuous walking, so it is dimensioned to receive a lot of people in a short time.